Always FREE shipping on orders $49 or more! 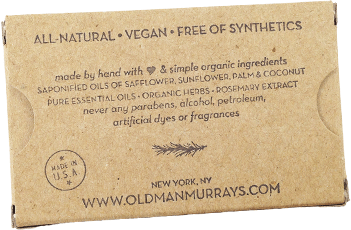 Old Man Murray's soap is made by hand with only the highest quality natural ingredients for healthy, beautiful skin — and a happier, more pristine planet! You'll get occasional updates and special offers. And we'll give you 10% off your next order!